Magoo is looking for a 3D-generalist! We are looking for a super-talented 3D generalist. The ideal candidate has strong visual design skills with broad knowledge in 3D (modelling, texturing, animation, lighting and rendering) The complete package basically. 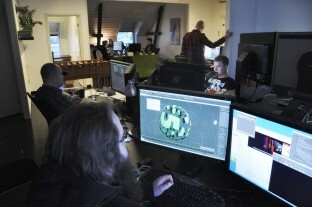 Our pipeline is built around 3dsmax and V-Ray, compositing in Nuke and After Effects. It is a merit if you have experience in these applications. Professional experience in the business is a plus, so is Maxscript- and Python knowledge. Employment is permanent as staff. This Jeep spot is about signs that we pass in every day life, as if they were a secret message sent just for us. The spot was shot in Prague and NYC and the post work was done at Magoo. The post process included: clean up, adding crop circles, crowd replication, set extension and CG rain. Magoo 3D Studios now hiring full time Compositor & 3D Artists. Come work with us! | MAGOO 3D STUDIOS.